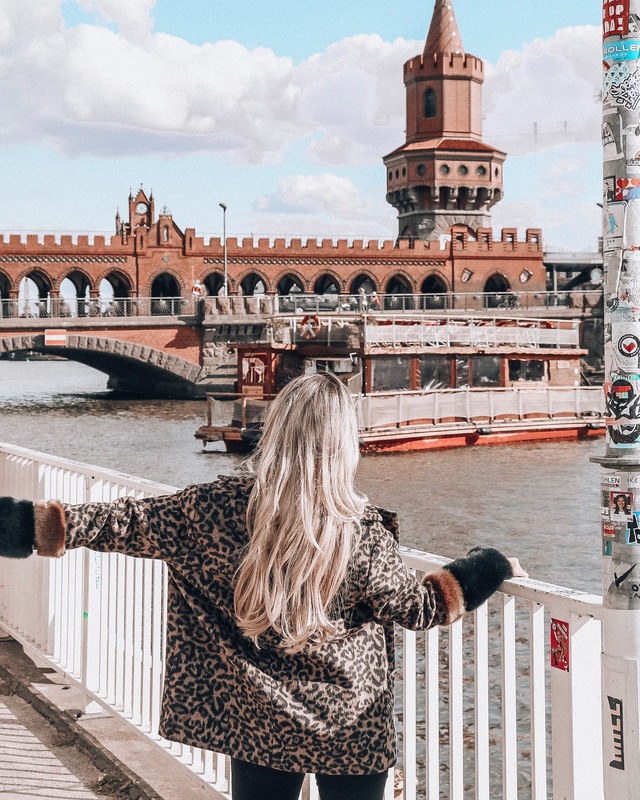 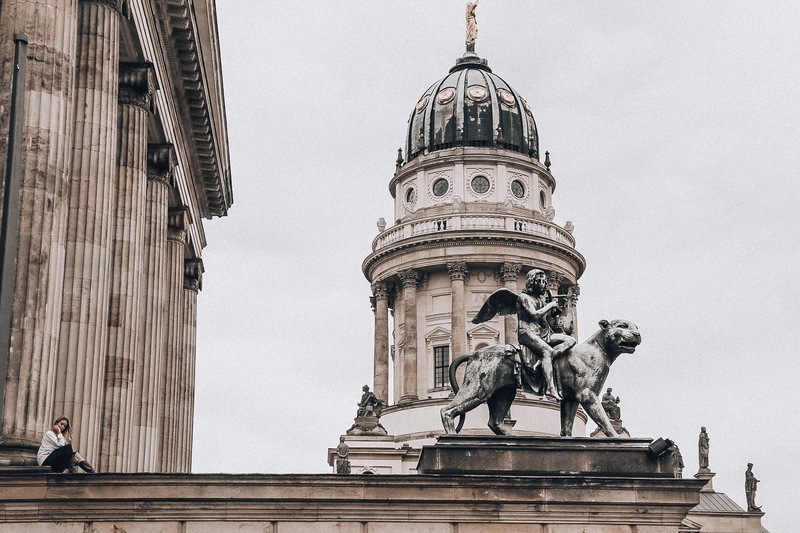 As you know, my husband and I love exploring new places around the world, but we also love returning to places that have a special place in our hearts – Berlin is definitely one of these places. 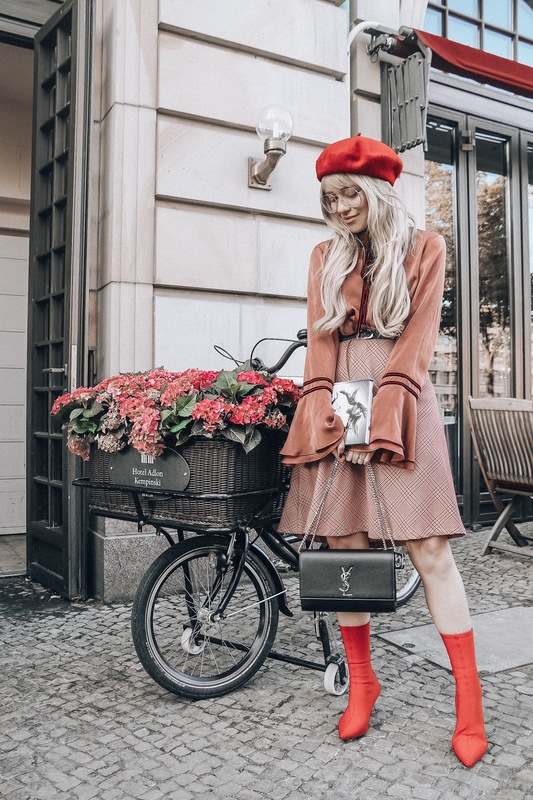 This year we returned for the third time and the place was just as charming and vibrant as always. 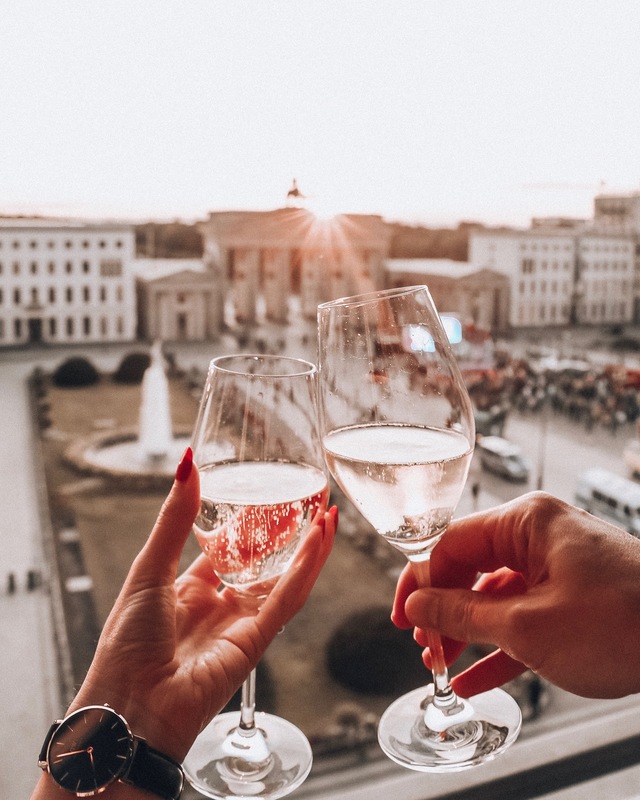 It might seem a little funny, but we usually create some small traditions when we travel. 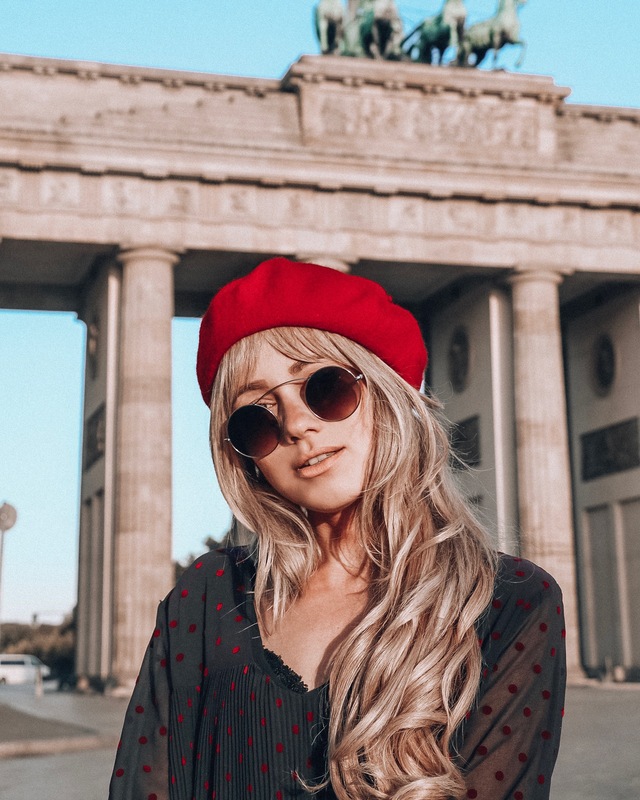 In Berlin we have two things we must do, we go to East Berlin to take this roll of pictures in a vintage photo booth and we stay at the incredible Hotel Adlon Kempinski. 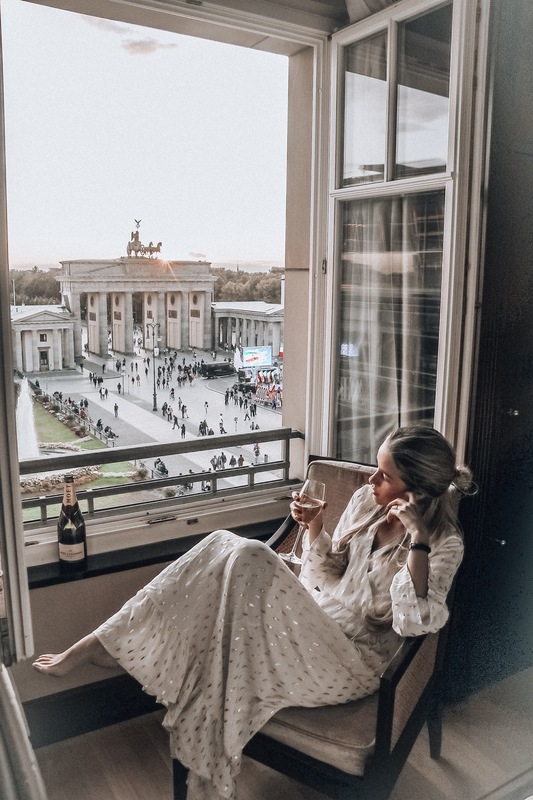 When you live in Copenhagen it is quick and easy to jump on a flight to spend a couple of days in Berlin and when we stay at Hotel Adlon it is really like a home away from home. 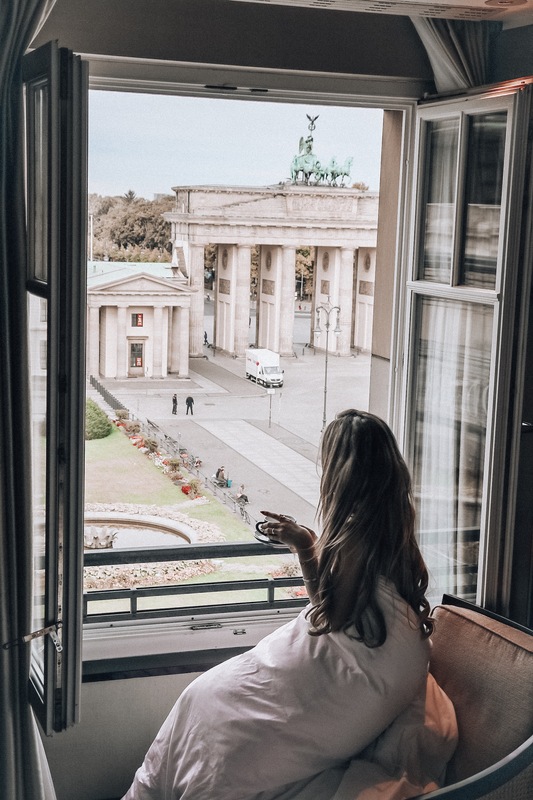 This time we stayed in the most incredible suite you can imagine with two large living room, two big bathrooms, a fireplace, a sauna, a perfect bedroom with an amazing bed and the best view of all Berlin, facing the Brandenburg Tor. 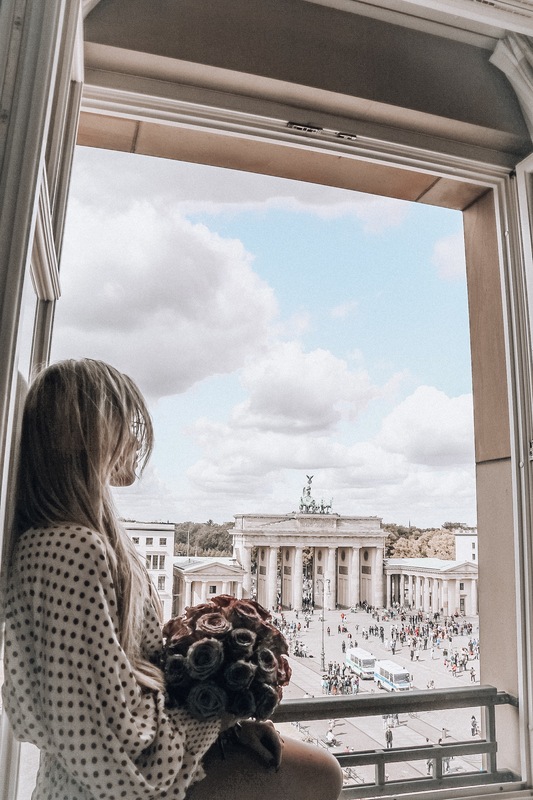 The reception we get is always the best and this time our room was waiting with a giant bowl of fruits, a delicious chocolate replica of the Brandenburg Tor and a cold bottle of champagne, what a way to start our little getaway, huh? 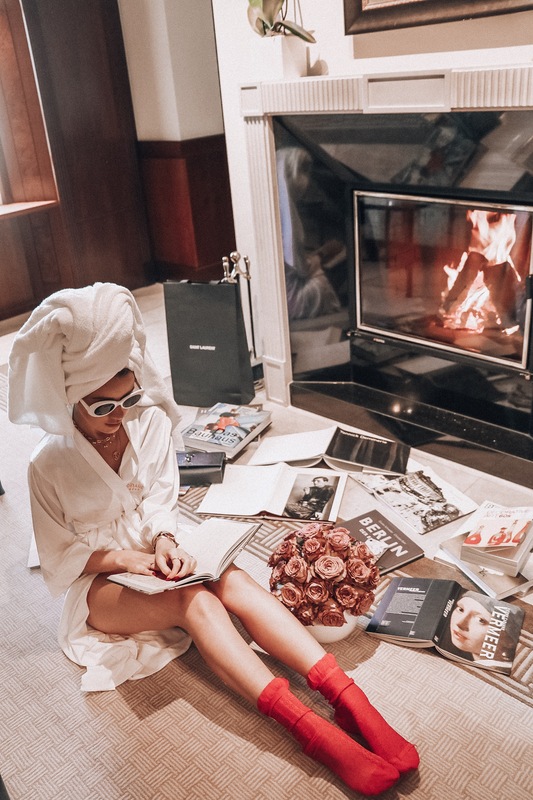 When you look the pictures, I think you can imagine that we almost did not feel like leaving the hotel, haha! 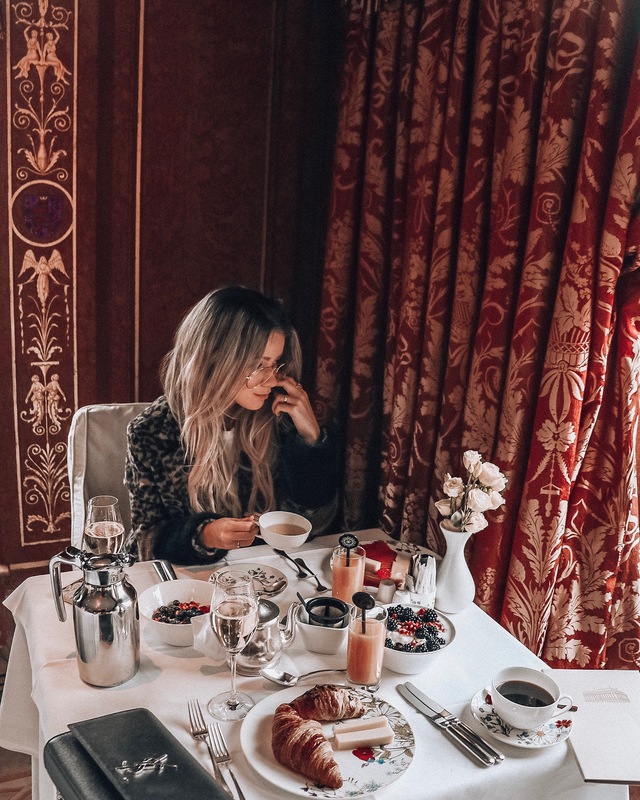 We were so in love with our room that we chose to enjoy breakfast in the room one of the days. 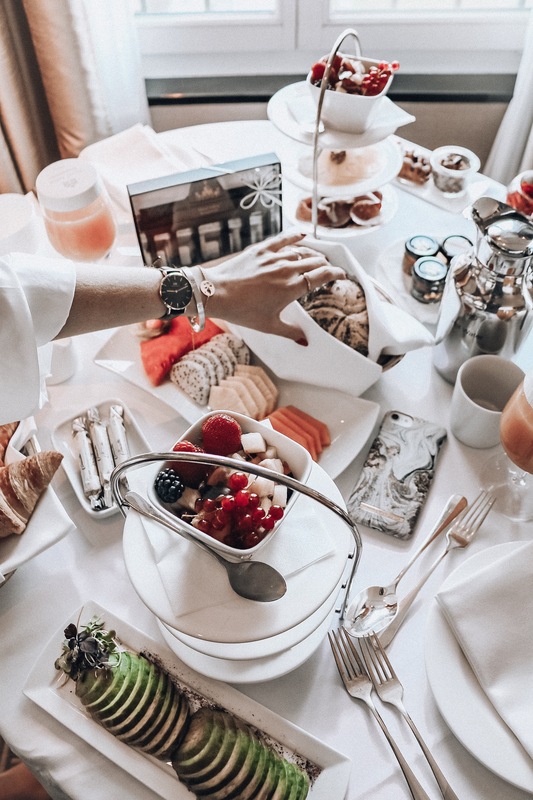 When you have stayed at Adlon, you will know that this is a very hard decision to make because the buffet breakfast is out of this world! 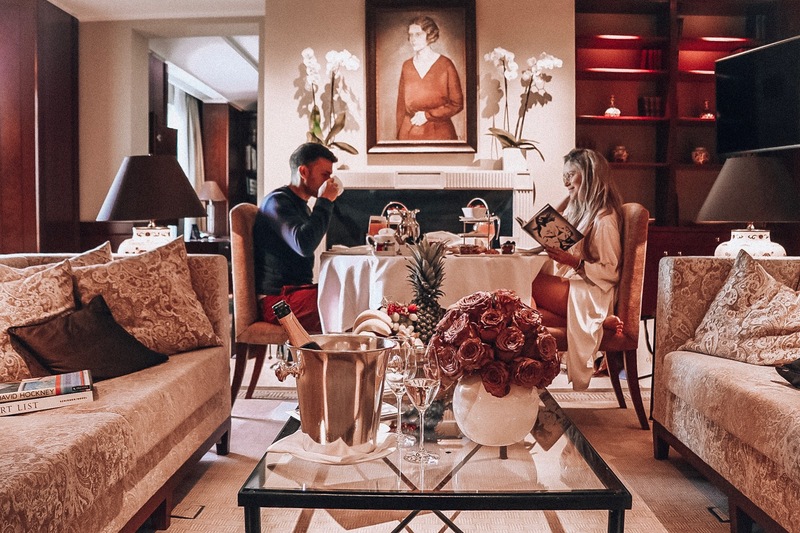 We were however happy to enjoy a great breakfast in the room, listening to the fireplace while enjoying the incredible view – such a good way to start a day. 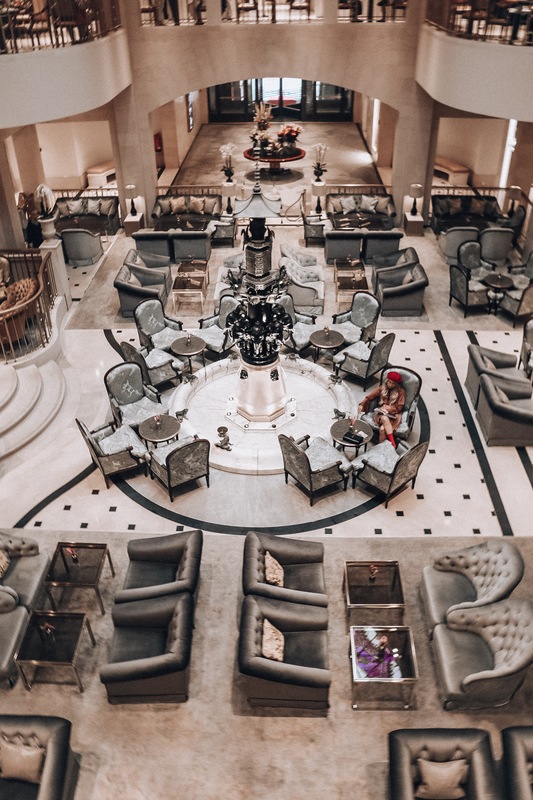 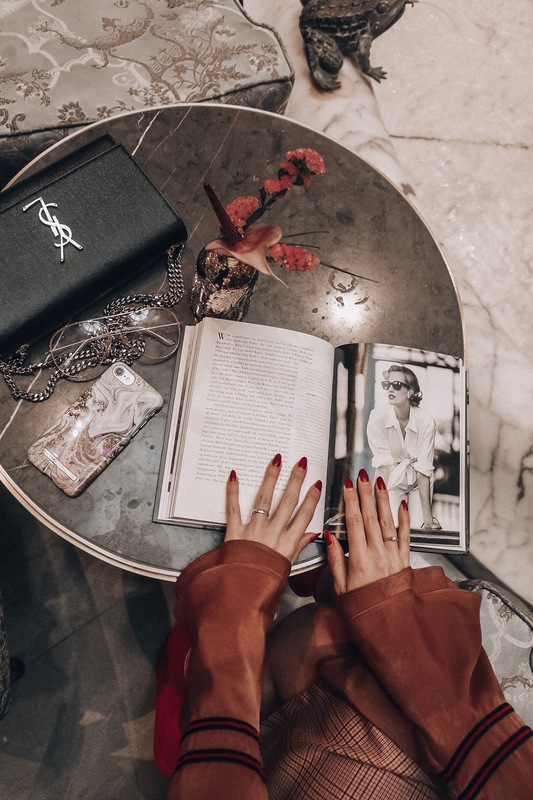 The service is second to none at Adlon and you can always get some good tips about what is happening in the city, good places to go and restaurant recommendations. 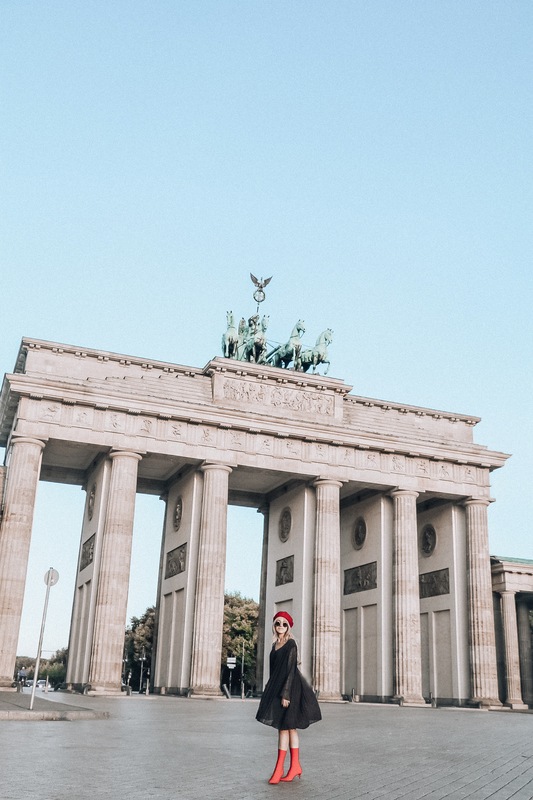 The area around Brandenburg Tor is very nice and we always go for a long walk in the area without phones or cameras, so we really get the chance to talk about the important things going on in our lives and the decisions we are facing – it is very nice and I can really recommend doing this from time to time. 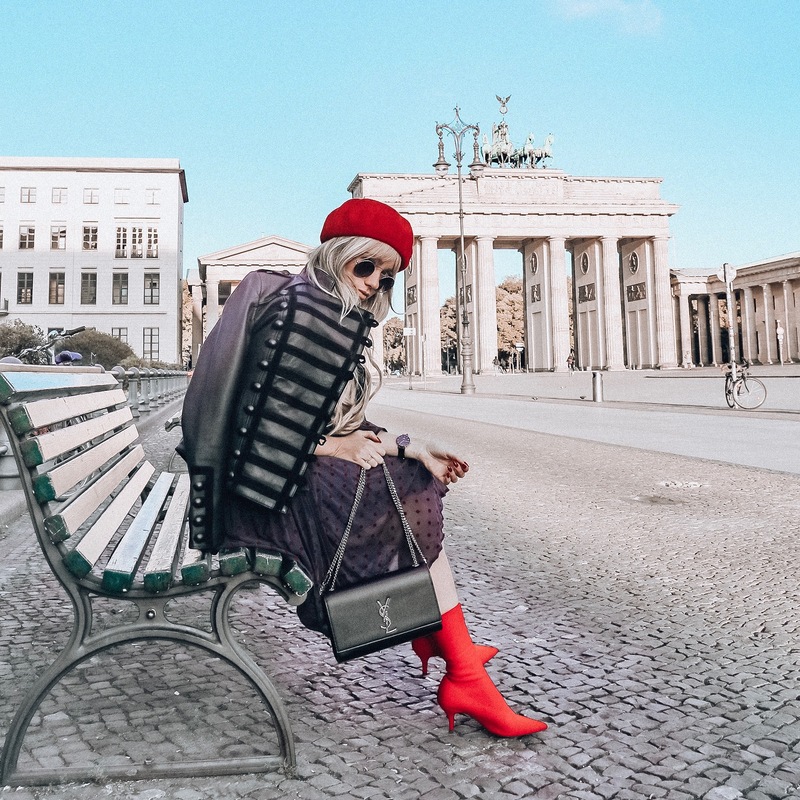 Again, we had a perfect time in Berlin and Hotel Adlon and could return home to Copenhagen after a couple of days with new memories and a new set of photo booth pictures from one of our favourite getaway destinations in Europe.